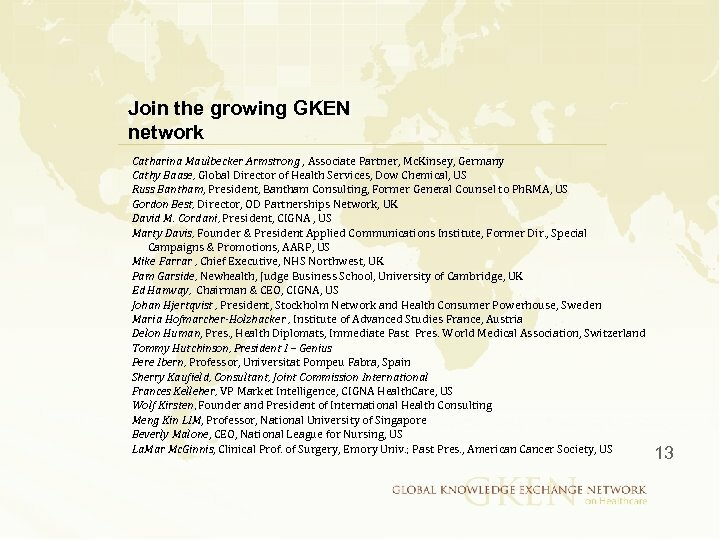 Developed and developing nations share many of the same Challenges: Facts on Chronic Disease § Preventing chronic conditions is a key issue for developed and developing countries because of the growth and health complexity of the aging population, the high cost of treating and maintaining the quality of life for those with chronic conditions, and the challenges of treating chronic conditions in health care systems established to treat acute care conditions not chronic conditions. 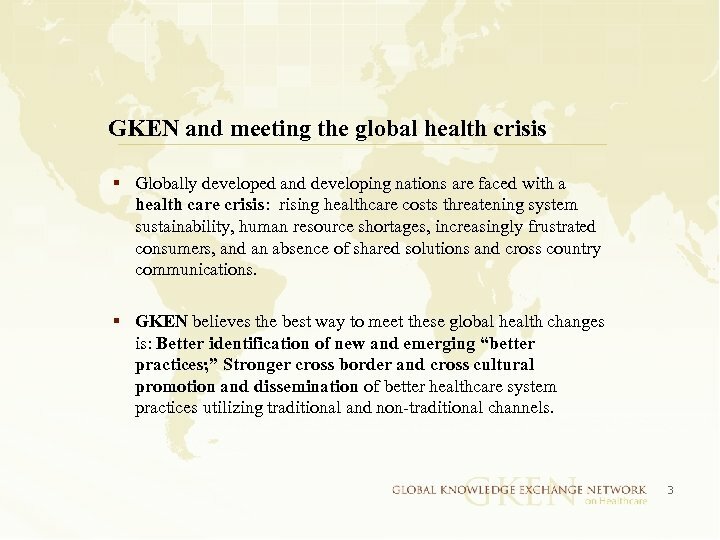 Approximately half of the burden of disease will be caused by chronic diseases, 13% by injuries and 39% by communicable diseases, maternal and perinatal conditions, and nutritional deficiencies combined. 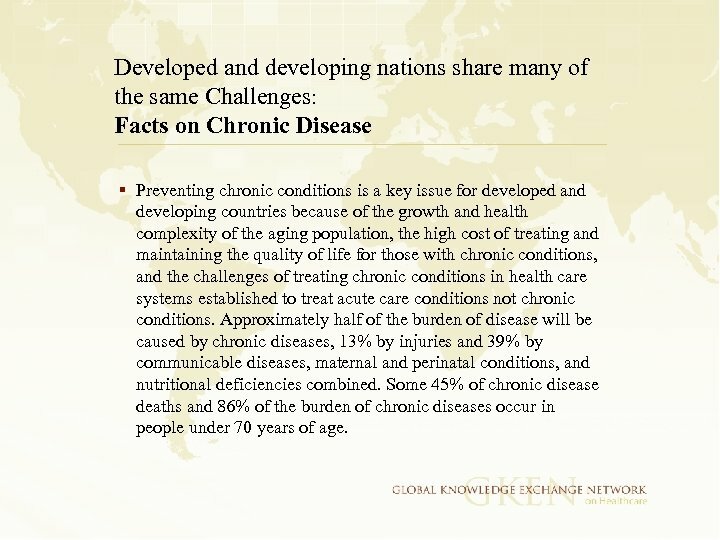 Some 45% of chronic disease deaths and 86% of the burden of chronic diseases occur in people under 70 years of age. 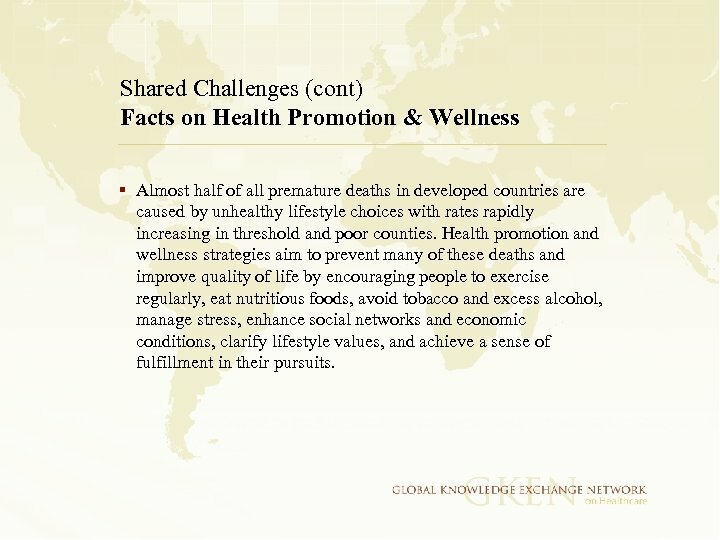 Shared Challenges (cont) Facts on Health Promotion & Wellness § Almost half of all premature deaths in developed countries are caused by unhealthy lifestyle choices with rates rapidly increasing in threshold and poor counties. Health promotion and wellness strategies aim to prevent many of these deaths and improve quality of life by encouraging people to exercise regularly, eat nutritious foods, avoid tobacco and excess alcohol, manage stress, enhance social networks and economic conditions, clarify lifestyle values, and achieve a sense of fulfillment in their pursuits. 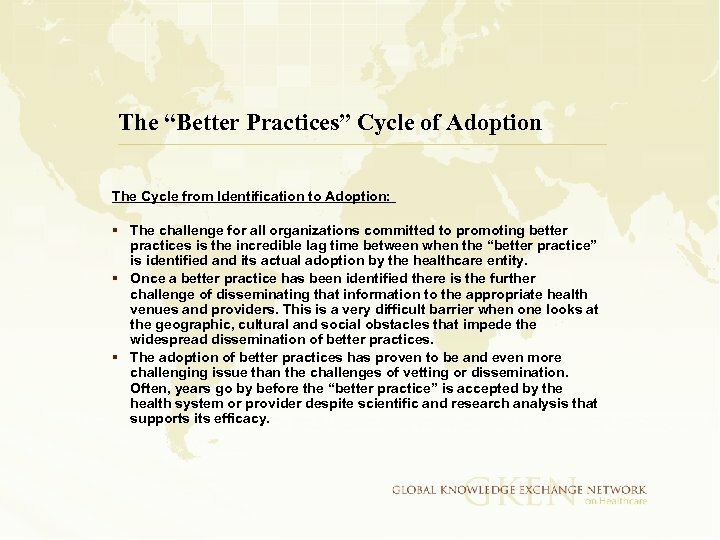 The “Better Practices” Cycle of Adoption The Cycle from Identification to Adoption: § The challenge for all organizations committed to promoting better practices is the incredible lag time between when the “better practice” is identified and its actual adoption by the healthcare entity. 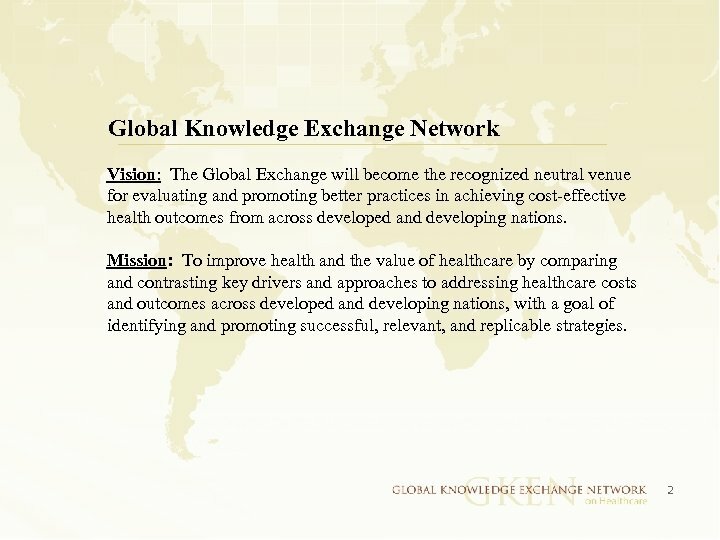 § Once a better practice has been identified there is the further challenge of disseminating that information to the appropriate health venues and providers. 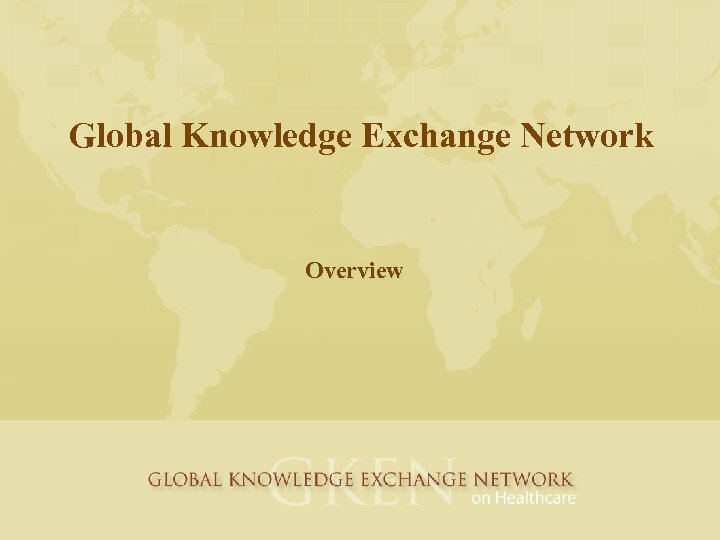 This is a very difficult barrier when one looks at the geographic, cultural and social obstacles that impede the widespread dissemination of better practices. 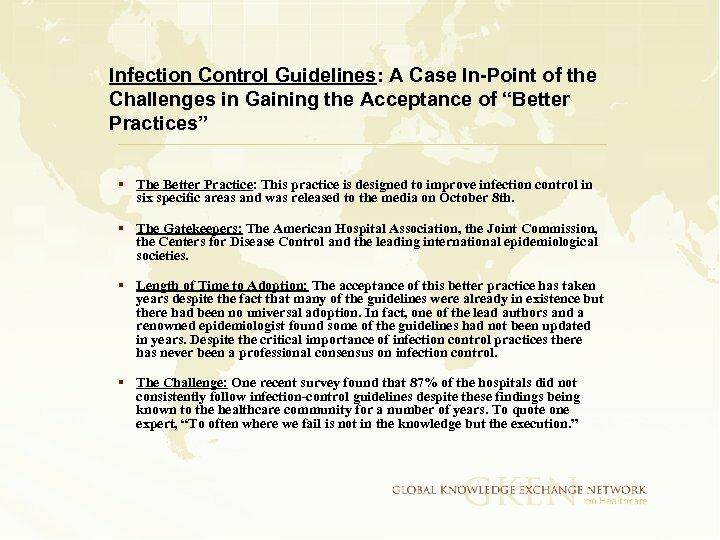 § The adoption of better practices has proven to be and even more challenging issue than the challenges of vetting or dissemination. 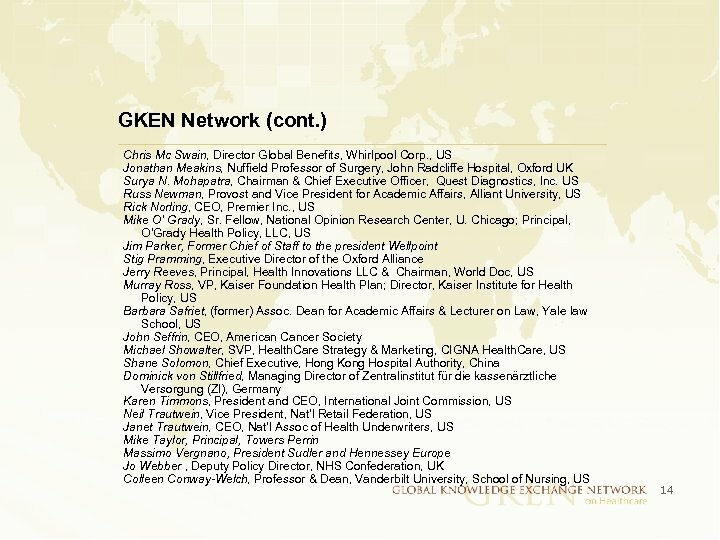 Often, years go by before the “better practice” is accepted by the health system or provider despite scientific and research analysis that supports its efficacy. 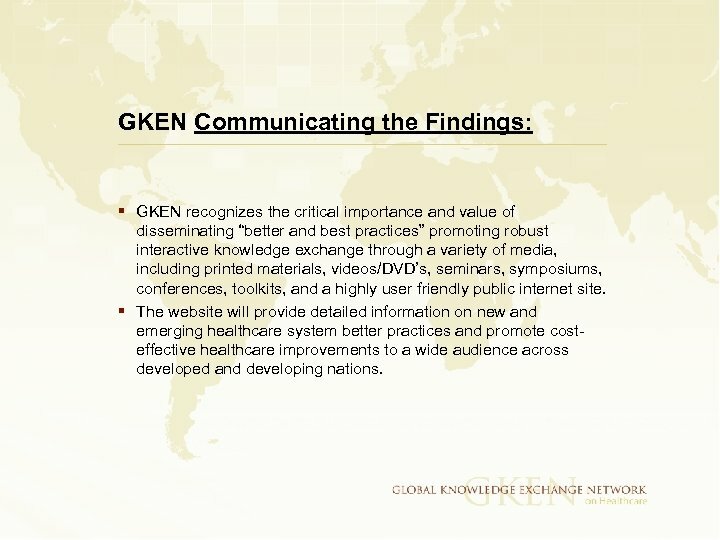 GKEN Communicating the Findings: § GKEN recognizes the critical importance and value of disseminating “better and best practices” promoting robust interactive knowledge exchange through a variety of media, including printed materials, videos/DVD’s, seminars, symposiums, conferences, toolkits, and a highly user friendly public internet site. 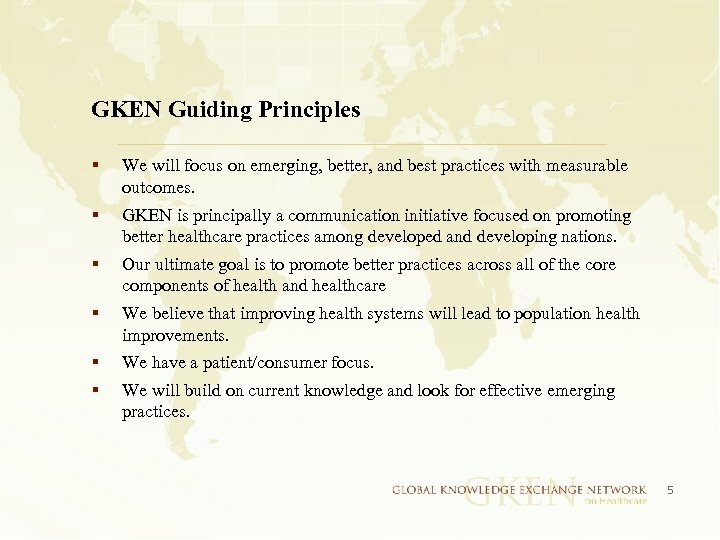 § The website will provide detailed information on new and emerging healthcare system better practices and promote costeffective healthcare improvements to a wide audience across developed and developing nations.